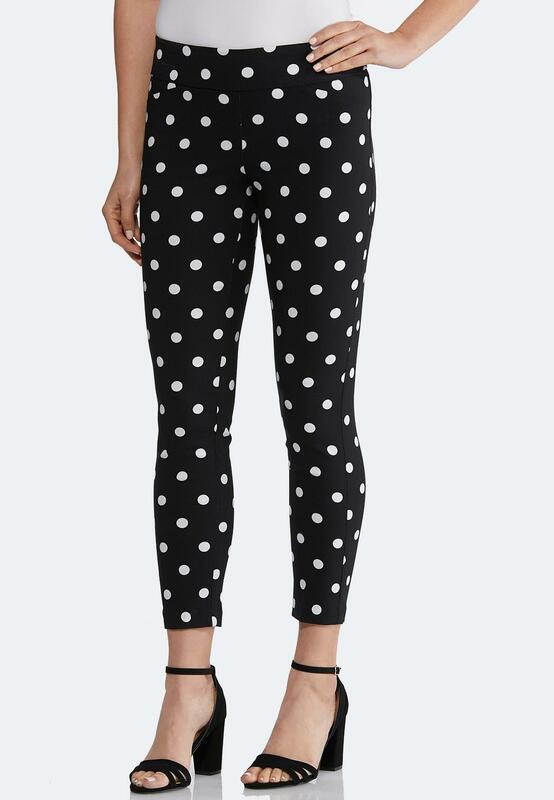 Get your fancy pants on with these playful polka dotted pants, featuring a classic color palette and comfortable stretch fit. Our ankle strap heels and solid white top pull look the look together, beautifully. 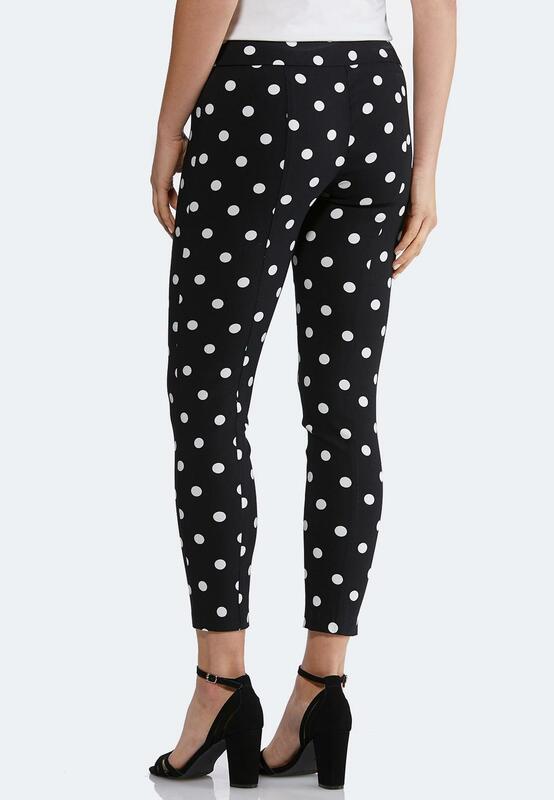 I love these cute pants. 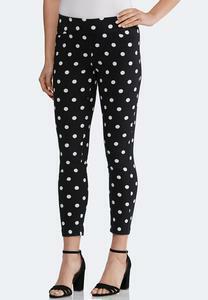 Cant wait to wear them.